This job executes a script in the Groovy programming language. Groovy is a scripting language that is closely based on the Java syntax but also allows a simplified syntax. It is characterized by its dynamic typing, high execution speed, and good integration into the Java Virtual Machine. 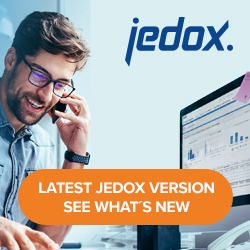 Besides the various functionalities, Groovy (and Java) offers specific Jedox Integrator functionality via the Jedox Integrator Scripting API. In case of a warning message, the subsequent loads or sub-jobs are executed and the job terminates with status “Completed with warnings”. In case of an error message, the job terminates without executing subsequent loads or sub-jobs with status “Failed”. (this was the behavior of a job until release 5.1).